So now that we are getting closer to game release it's maybe a time to talk about some of the things we've kept secret so far. 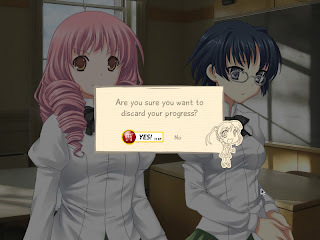 As anyone who has followed our development process knows, we are committed to releasing the entire game free of charge, and this will never change, since it is one of the incorruptible philosophical foundations of our group. However, it has come to our attention that the modern internet environment offers many opportunities for monetization, and we would be foolish not to take advantage of this. 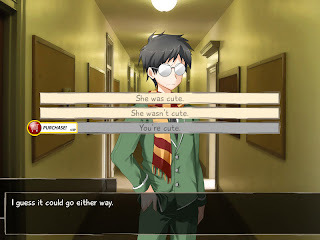 So, we are proudly announcing a subscriber model for people who really take Katawa Shoujo seriously and want to enjoy it to its fullest. Players who want to go beyond the ordinary can sign up for an account, which instantly gives them access to extra features and also makes them eligible for expansion content. Rika's story is written by Silentcook and her character artist is moekki. 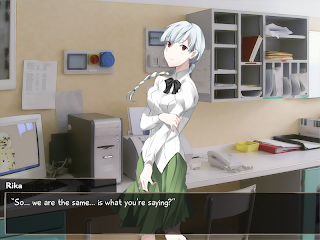 Saki's story is written by Aura and her character artist is weee. Some of the choices in KS will have options that are exclusively available to subscribers for a minor one-time fee. 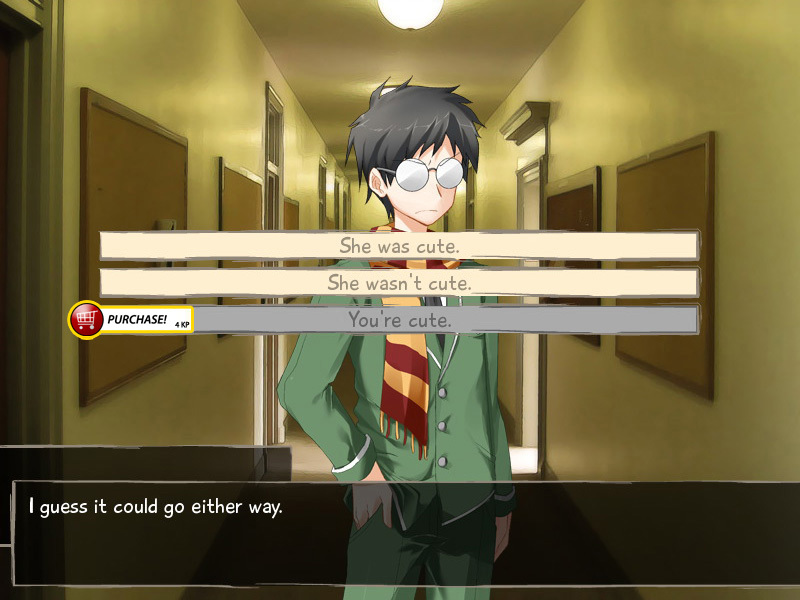 The unlockable options usually provide small changes to scenes, often extra event CG, sometimes extra scenes or background information that would not otherwise come up. Of course, they have no bearing whatsoever on the main storyline and are entirely optional. 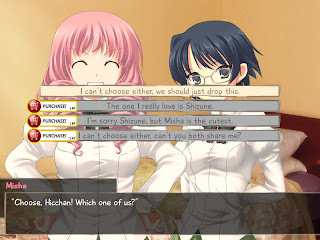 Simultaneously with the subscriber system we will open the Four Leaf Studios webstore, providing fans with Katawa Shoujo and Four Leaf Studios merchandise such as shirts, hug pillows, posters and more. Subscribers gain faster processing and access to freebies and items not available to others. The basic game will no longer offer saving/loading functionality. Instead, you can jump to scenes via the "Library" option. Both saving and loading will be available exclusively to subscribers through a micropayment system. Additionally, rolling back a line will be available for minor charge per line (of course, readback will remain available free of charge). 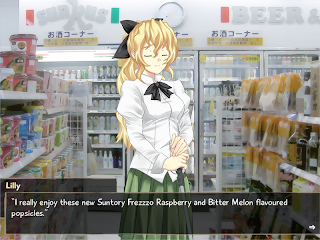 Premium customers will not see "sponsored lines" that are inserted into the game text in random intervals. They also get the privilege to block a subset of the in-game product placement. The KSPremium account will be available at the time of KS full release for most regions of the world for a very competitive monthly or one-time pricing, at various subscription levels. Extra features and the merchandise at 4LS webstore will be charged with Katawa Points associated with your account, available separately or through an automatic monthly fee. 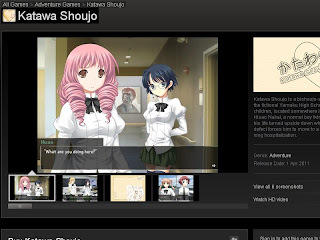 100 Katawa Points is equivalent to approximately $5 (depending on your subscription level and location). This will all be made possible thanks to the cooperation of Valve, with Katawa Shoujo releasing on the Steam platform. You might be wondering why we are making an about face with the deal about money and KS. This is because we finally have a good use for it. Many of us have found themselves in a good place in life to do something big, something cool, and that's exactly what's going to happen. 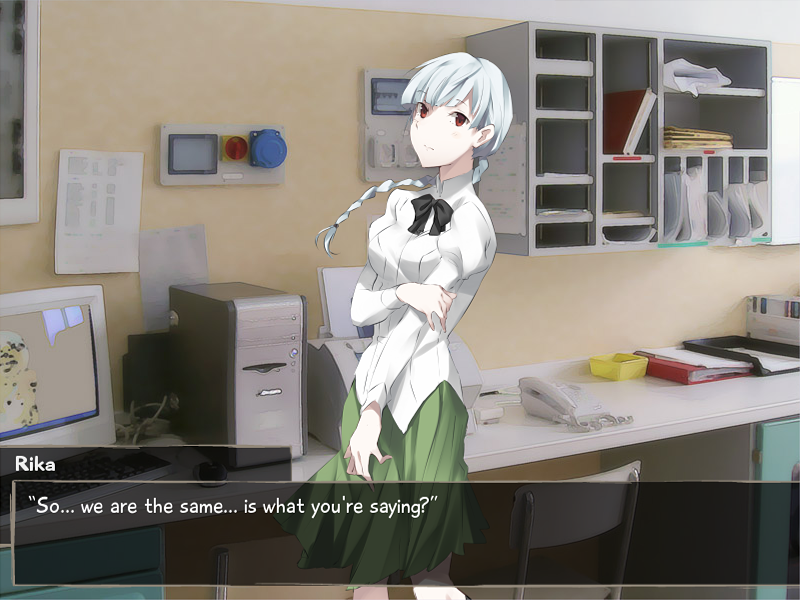 Four Leaf Studios is going to become an actual studio, continuing with our adventures in the world of visual novels beyond Katawa Shoujo. We are planning to get ourselves a physical studio office in Copenhagen, Denmark, found a real company and move most of the devs there to work on further projects once KS is completed. That is to say, we are taking the big step forward and really going to make a splash in the indie game world. 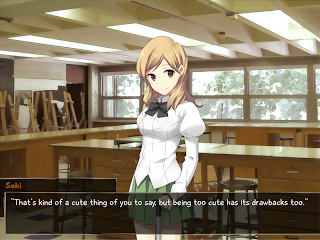 Stay tuned for further developments on this, both before and after KS is released. We have some pretty neat ideas in store for the future. Thanks for reading and hope you are as excited about these news as we are.